During the Spanish Civil War Cartagena was a very important city. It comes as no surprise that it suffered heavy bombardment, as it was the operational headquarters of the Republican Fleet and the port of disembarkation of military equipment and supplies for the defence of Madrid. 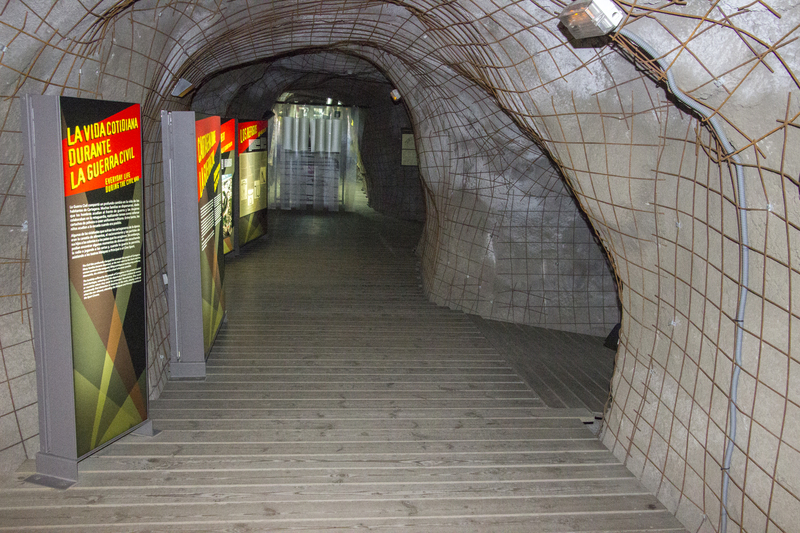 One of its air raid shelters has been restored and in 2004 it was converted into a very interesting museum. You’ll find the shelter at the base of the panoramic lift which takes you up to the castillo on Calle Gisbert. €3.50 is an excellent price to pay for such a well designed and informative museum. On entering you must walk through corridors hewn from the rock which take you into the cavernous main rooms of the shelter. It’s hard to imagine 5,500 people cowering from falling bombs inside this giant cave. If your imagination allows you to get a realistic picture of what life was like, it would be truly terrifying. The walls are lined with informative plaques in Spanish and English. There is a mock-up of how workers used picks to hack away at the rock and create this shelter. The propaganda posters are particularly interesting, and you can buy them in the well stocked gift shop as you exit. Make sure you sit down for the video showing archive footage of the city during the war. It is a sobering experience. A nice touch inside is the section dedicated to educating the next generation of Spanish children about the horrors of the past. 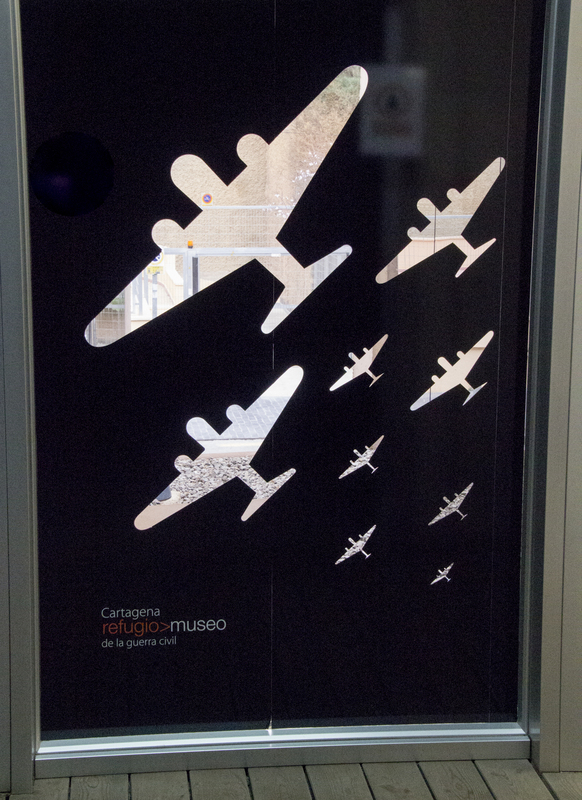 there are drawings from children who sought refuge in the shelters and posters designed by the children of today. The museum is open every day except Monday at the moment, but in July, August and the first half of September, it is open every day from 10am. Very interesting but not a patch on the old mud volcanoes! Nice to hear from you Mike. yes, those mud volcanoes in Azerbaijan were quite something!